BROKEN DRYERS ARE NO PROBLEM! Dryer Repairs in Bristol can be a common call for our appliance repair company. We really can get a lot of calls on a daily basis that are for dryers specifically. 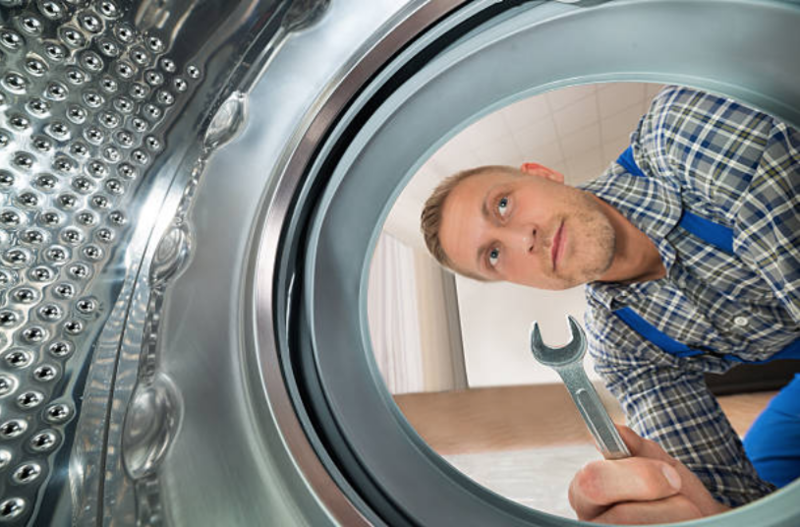 It is a well known fact that a dryer gets a ton of use, and since they are simple to forget to maintain, and people often load them up with too many heavy loads of clothing, the machine can be under great strain. ​Usually, the first sign of a dryer needing a repair is when it starts to make a loud noise. Some people describe this noise as a squeaking or squealing noise. This is a sure sign that a belt is wearing out within your dryer, and maintenance is needed quickly. ​Just like a car, appliances show signs of wearing out in advance, and if you don't pay attention, repairs can become impossible, and you may need to purchase a brand new one. If you are unsure of what your dryer symptoms are, don't worry. Give us a call and we can walk you through the potential issues. Tip #1 Inspect lint screen after each load of clothing. Always empty your lint trap or lint screen on a regular basis. This feature of a dryer is one of the most commonly neglected areas of maintenance that is required on a dryer. It really should be emptied after each use, but many people wait until two three four or more loads are done before they check the lint trap. Typically lint can build up within just one load of laundry. This is why it is wise to inspect your lint trap after each load of laundry is complete. Tip #2 Keep knobs and dials free from dirt, dust, and lint. Tip #3 Empty your pockets before doing the laundry! Always remove objects from your load of laundry before putting it in the dryer or washer. When you routinely wash bits of plastic or metal and other hard objects accidentally, you are steadily wearing down the inside of the barrel to the washer or dryer. This can cause issues since it can produce sharp edges within your dryer that can catch on clothing and cause imbalances. When your dryer is not balanced properly, it may begin to make a loud noise. You may also notice that clothing comes out appearing tightly wound up or torn. ​Please visit our Home Appliance Repair FAQ for more info!